My time with the EA Sports NHL franchise dates to NHL ’93, where I scored my first goal on a point shot from Jamie Macoun. That was back when the graphics were so basic that a white dot in the middle of the puck was necessary to see it on your television. 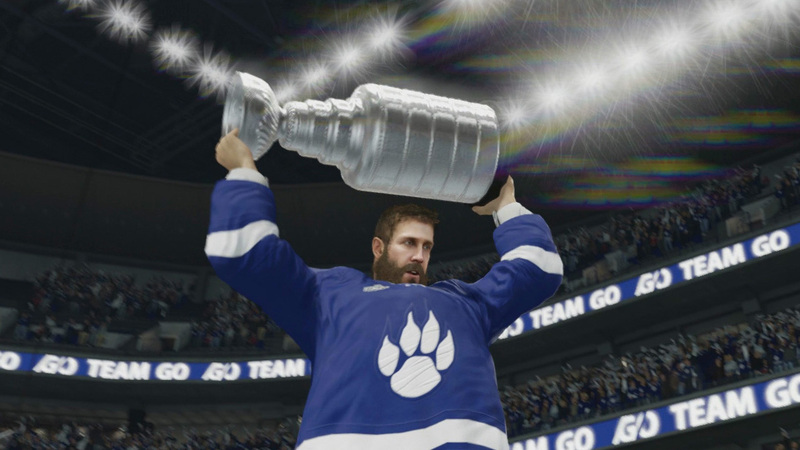 The NHL series has come a long way since then, and NHL 18 has taken some significant steps over NHL 17, but also fails to address some holes that are overdue for filling. NHL 18 comes with a lot of different game modes, but only four make up its core. Franchise Mode, Be a Pro and Hockey Ultimate Team are all back, but this year also sees the introduction of NHL Threes. 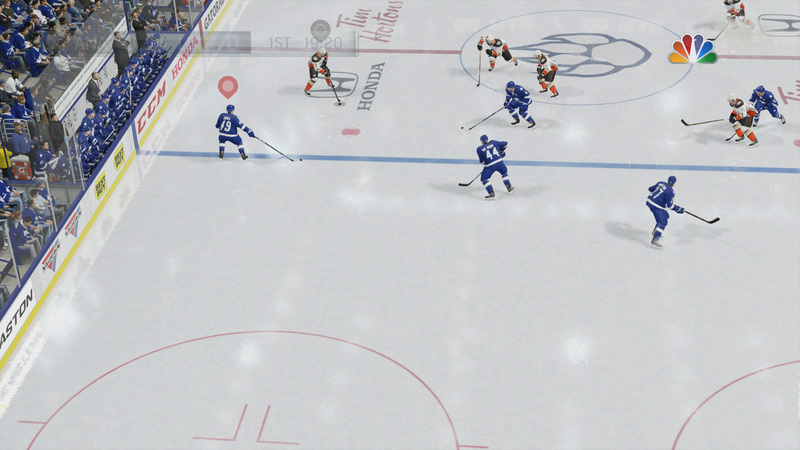 NHL Threes, like the name suggests, is a three-on-three game mode with a twist. It has a more arcade-like style to it, with penalties being toned down, offsides and icing a thing of the past, and custom rules that make it feel like a game of street hockey with your friends. It comes with both online and offline modes, including the option for co-op. While I can’t see myself spending a lot of time with NHL Threes, I really appreciated the change of pace both in terms of gameplay and commentary. While I do have major beef with the regular commentary team of NHL 18 (more on that later), this felt like a cheap night of three-on-three hockey at your local arena with bowling alley announcers. It was magnificent. What I found, though, was that the gameplay was so over the top that I had trouble taking it seriously as a single-player mode. I’d fire it up for some couch co-op with friends while drinking wobbly-pops, though. Hockey Ultimate Team is obviously back. It looks a lot like it did in previous years. There are new types of packs and collectibles, but the general idea is that you build the best team you can and fight your way through the divisions. For the competitive player who craves that PvP experience in their video game hockey, it’s somewhere you can spend a lot of time. My problem with HUT is the same as it’s been for years, which is the blatant pay-to-win formula. Good players with bad to mediocre teams can compete in the early divisions, but as the skill-gap closes you must field the best players to stand a chance. Unfortunately, the best players are most easily obtained by spending real money on packs of cards. You can earn packs just through playing, but the grind will be intense. My rough math has it taking approximately 15 games to get a Gold Plus pack, which could mean seven and a half hours of play time. Alternatively, you could buy three Gold Plus packs for about $14 and hope you score a few good players. The bulk of my time with NHL 18 has been spent with Franchise Mode and, to me, that’s the game mode that’s seen the most growth over the last year. This is almost entirely due to the fact players can now create their own NHL team, customizing everything from the logo on the jersey to music that plays when you score a goal. From the moment that you pick your team in the expansion draft to the one where you lift the Stanley Cup, you’re in control of everything, and it’s close to flawless. The mode that could have used more attention is Be a Pro. It’s still okay, and the option to request a trade is good, but it’s full of flaws. The coaching feedback that determines your player’s rating each game is as bad as anything in NHL 18, same as it was NHL 17. A goal, assist and handful of shots will get you nowhere near an A+ offensive rating, even though that would be considered a great night in the real NHL. The system is designed to measure individual actions more than overall performance, and that often left me feeling like I was playing to tick all the check boxes rather than win the game. The entire feedback system could use an overhaul that aims to make the experience more organic. It’s definitely the forgotten mode of NHL 18. It’s always tough to judge the gameplay of an NHL game from year to year. After all, you can’t reinvent hockey every 12 months. The mechanics are largely the same, but credit is due to the developers for the tweaks and adjustments made this year, especially with the introduction of the Defensive Skill Stick. The poke check has always been part of the online meta with the NHL Franchise. You were either good at it or you lost. With the Defensive Skill Stick, though, gone are the days of blindly poke-checking to knock the puck loose. Now, players can control where their stick moves while on defense, blocking potential passing lanes with a precision that didn’t exist previously. This will change the way that HUT is played, and I feel strongly that skilled defensive players will have an edge over the more offensive minded. The other welcome addition to the gameplay this year are the dozens of new sliders that allow you to tweak the frequency of each type of penalty. For example, with the Defensive Skill Stick in action, the potential exists for more tripping penalties. However, you can tune tripping penalties specifically, rather than just penalties in general. In fact, you can tweak almost every tiny detail of the game, allowing players to find the perfect combination of rules and settings for their style of play. Where the gameplay gets stale, though, is with the scoring meta. It hasn’t changed in years. The same cheese moves that you could score with three years ago are the same ones you’ll score with today. The only thing different is the previously mentioned Defensive Skill Stick, but even that isn’t going to be enough to stop players from taking the puck to the corner, then stick-handling in front and going high on the short side. It works, too. I would have liked to have seen some of these exploits patched up, but it’s not game breaking by any means. No other aspect of NHL 18 has me more torn about whether it’s good or bad as the presentation outside of NHL Threes. On one hand, the visual side is exceptional. I enjoy the pre-game analysis from the booth, the video package recap when a player gets a hat trick, and even those once or twice a game inserts from Ray Ferraro, who is easily the best commentator of the three. NHL 18 looks like a real broadcast, although, as a Canadian, I could do without it featuring NBC. When you live in Canada and get to see what true top-level hockey broadcasts are like with TSN, CBC and Sportsnet, NBC is a tough sell. EA Canada could also do a better job with the commentary reflecting the in-game situation in any given moment. I’ve flipped the puck down the ice killing a penalty, only to have Mike Emrick lose his damn mind over the incredible save the goaltender made on the barely moving puck. I get that it will never be perfect, but it’s hard to give a pass on flaws that have existed for years, especially when the commentary feels like it was just copy and pasted from NHL 17 to NHL 18 for the most part. I’m sure it’s very difficult to teach AI commentators context, but it would be easier to overlook if there was more fresh commentary each year. NHL 18 isn’t without its flaws. 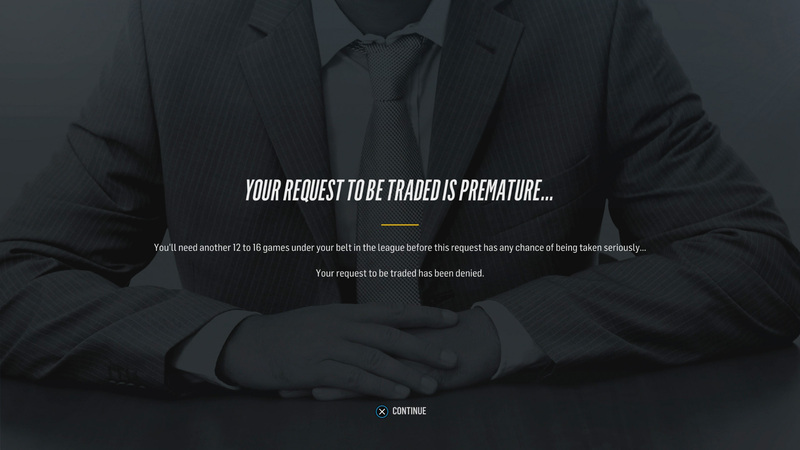 Be a Pro needs a complete overhaul, as does the entire commentary system outside of NHL Threes. Those are two tough pills to swallow when you consider that each year players are buying a new NHL game and getting the same subpar features as the year prior. NHL 18 does a lot of things better than NHL 17, though, and is an improvement on that iteration of the series in more ways than it isn’t. 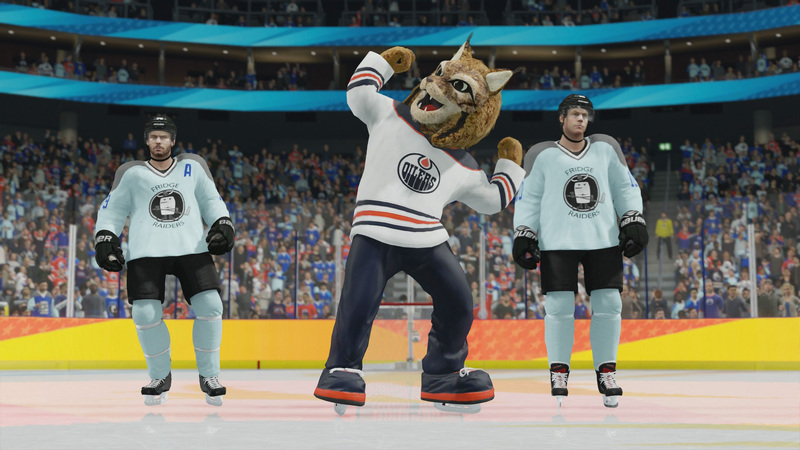 Franchise mode has been given new life with the ability to create your own team and take part in the expansion draft, and NHL Threes is an excellent change of pace. On the gameplay side, the Defensive Skill Stick looks like it could play a major role in changing the meta of online play, and I imagine that’s no small task when your yearly game is about a sport that’s remained largely the same for more than 100 years. I’ll be much less forgiving if the same flaws that NHL 18 suffers from remain a problem in NHL 19 a year from now, but EA Canada has done mostly right by both casual and veteran players. Big wins outscore annoying misses, and overall NHL 18 is a step in the right direction. This review was based on a PS4 digital download provided by the publisher. NHL 18 released on September 15 for the PS4 and Xbox One for $59.99. The game is rated E for Everyone. Franchise Mode is the star of the show. NHL Threes will add casual couch co-op fun. Requesting a trade in Be a Pro is great. Defensive Skill Stick changes the defensive game. 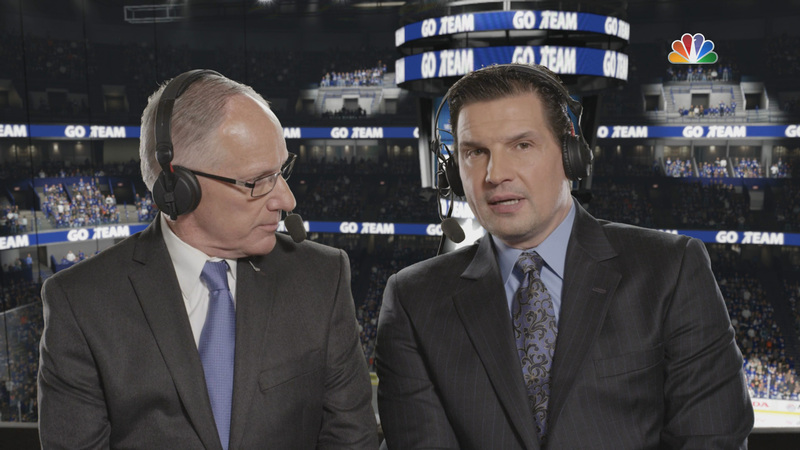 Mike Emrick and Eddie Olczyk miss the mark. Be a Pro needs a coaching feedback overhaul. The same cheese goals are still a problem. Nothing will ever beat NHL 93 and 94. Such sweet, sweet memories on my Sega Genesis. You aren't wrong. They even have NHL 94 control options these days. Nice review, Bill. Hopefully they can improve upon this in the coming years. The commentary is super wonky! I've been looking for an excuse to buy one of these. They're some of the best couch pvp memories over got.